Fesco Distributors is one of the market leading distributor of branded consumer electronics and home technology products. The company started out as a retail store in 1962 and later moved on into the distribution sector. Now, Fesco’s catalog features an extensive range of LCD and Plasma TVs, projectors, home theater systems, portable A/V electronics and all relevant accessories. Fesco distributes products of market leading brands like Sony, Panasonic, Samsung, JVC, Garmin, and Yamaha to name a few. With an impressive track record of fulfilling more than 95% orders within 24 hours, Fesco offers a level of commitment to its dealers that is attributed to the best in the business. The company makes sure that its dealers can compete in the highly aggressive market by offering them cutting edge products at market competitive prices. 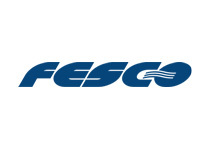 Fesco went online in 2008 with an ecommerce market place to allow dealers to place orders online.